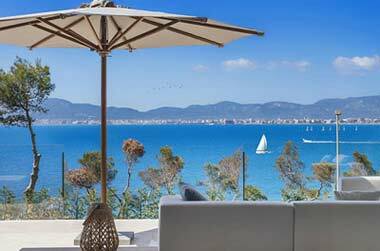 Are you looking to buy a sunny seaside penthouses in Mallorca? 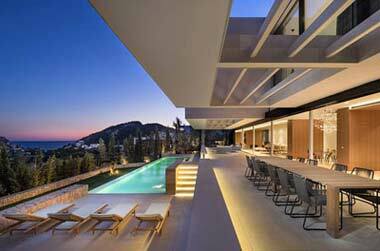 Here at Balearic-Properties.com we have a fantastic range of Palma de Mallorca penthouses for sale you can choose from. From traditional Majorcan appartement to modern state-of-the-art lofts– in Palma you might find some beautiful places above the hustle and bustle of the city. The current real estate market holds a lot of offers according to your personal style. Palma offers a special way of lifestyle especially in the heart of the city. Get fascinated of modern interior in the Majorcan metropolis. Before you think about the purchase of a estate on the island, you might decide about the reason; will you use the apartment for vacation or as secondary residence. This decision should be the base of your budget, what is essential to find an affordable apartment. waste time, go and find your perfect penthouse. Most penthouses have a sun terrace or at least a balcony. Nowadays it’s nearly a prerequisite to have a beautiful view from your home. The bigger the balcony or the terrace and the higher will be the price. The offers of the most luxurious apartments include a pool on the sun deck. Fitting to the design of the modern buildings, they have a straight design and new forms. If you are located in one of the higher buildings you might have the chance to have sea view from the balcony. All this guarantees a perfect combination from interesting city life and relaxing wellness oasis. Make up your own retreat to escape from restlessness. Do you already have the feeling of such a lifestyle? During the day relaxing at the pool and in the evening you have a party on top of Palma with an exclusive atmosphere. Stay tuned! City apartment or beautiful beach house? The interesting life in one of the most popular holiday destinations in Europe always need a huge budget. To comply with a certain luxury standard you have to pay a lot of money. In general there’s no difference if you purchase a villa at the coast or a small penthouse in the city. More simple designed apartments cost around 200.000 to 500.000 euro. But there’s no price limit regarding high class estates. The advantage of living in Palma is that you have all you need in a small area around your destination. It’s just a small step out of the door to the heart of the city. In opposition to a country house, it’s so much easier to go shopping or to eat out. Palma is one of the most frequented tourist destinations, especially German tourists. Comprehensive entertainment and the beautiful city attract thousands of visitors every year, particularly in the summer. Please keep that in mind before you decide to buy an estate in Palma. On the other hand side are there such an amount of shopping centres, restaurants and cafes that you can have a good time there, too. 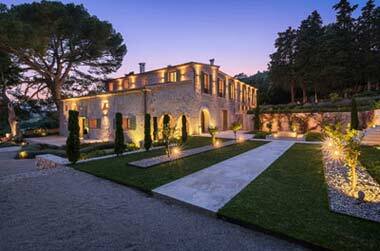 The decision, to buy a penthouse in the city, does not exclude traditional Majorcan flair. Within two hours you can reach every location on Majorca by car of public transportations. If you need a break from the city life you can go the bays along the coast or visit the beautiful villages in the mountains.Enjoy the island to the full. The property of a modern penthouse in the heart of Palma stands for a modern, luxurious lifestyle, which includes modernism and wellness. You are on the hotspot of colourful city life with a location for relaxed moments, above the roofs of Palma. Let’s take the chance and find your city penthouse!